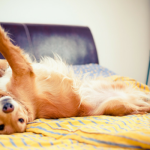 Having a dog is wonderful, but it does make keeping your house clean and clutter free a bit of a challenge. 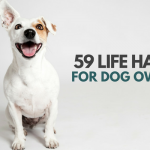 But luckily there are some relatively easy ways to help keep all of your dog’s stuff organized. From creating your own dog walking station to making a toy box for your dog, here’s my favorite tips for organizing your dog supplies. 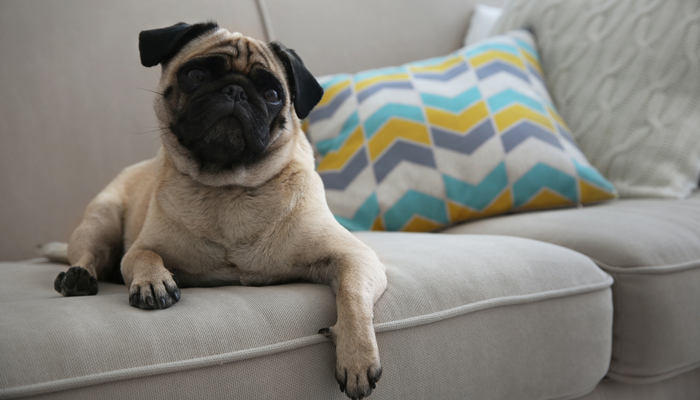 Tip: If you’re looking for more tips for keeping your house clean with pets be sure to check out 10 Simple Tips For Cleaning Up Dog Hair & 10 Ways to Dog Proof Your Furniture. When it comes to organizing my dog walking supplies I like to keep it simple by just using a couple of hooks on the wall for our leashes, harnesses and collars. I have them on the wall right by the front door, along with some extra towels to clean off my dog’s muddy paws when we come back inside. If you want to make one yourself here’s a cute DIY wall mounted pet organizer. If you’re not a fan of that look you can use some command hooks and buckets instead. There’s also plenty of super cute wall mounted leash organizers available on Etsy. Bonus tip: To help keep your house clean remember to use the same entryway with some towels nearby so you can easily wipe off your dog’s paws every time you come back inside. If you’re feeling really ambitious (and have the extra space) you can turn one of your entryways into a mud room. 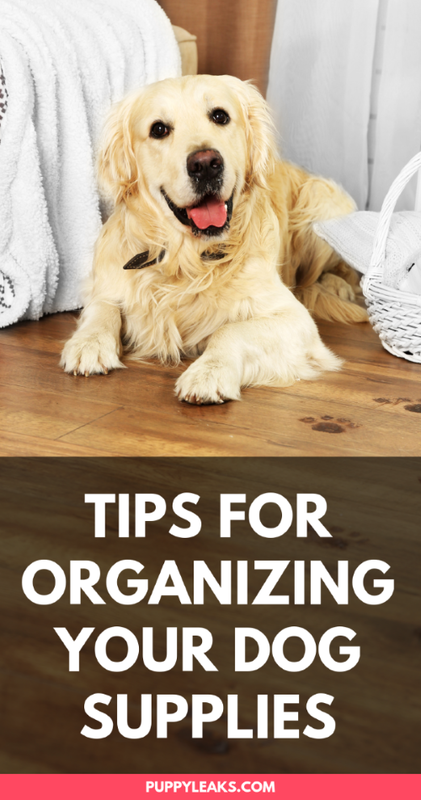 When it comes to organizing dog food & treats I like to keep them all in one place, but space can be a problem (especially if you buy in bulk). If you don’t have enough room in your pantry and need to store a big amount of food you can buy some stackable containers, revamp an armoire, or turn an old dresser into a dog food station. 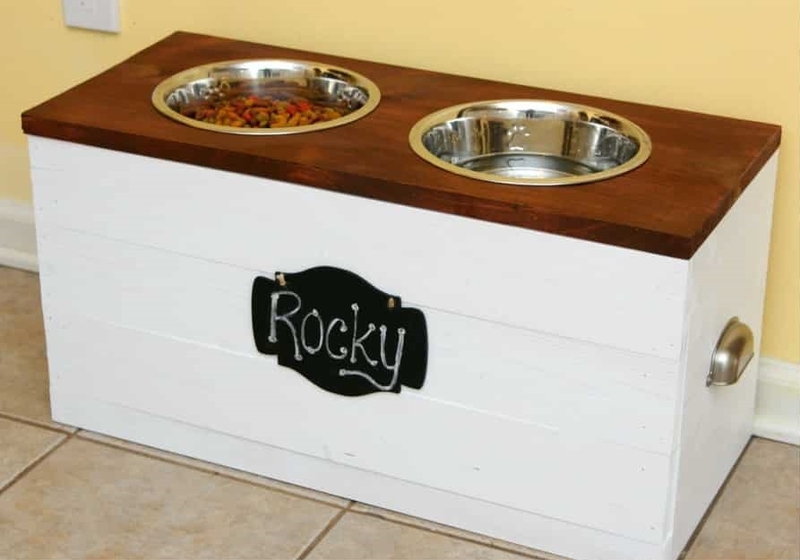 You can also make yourself a super cute elevated DIY dog food station with storage. There’s also plenty of pet feeding stations with storage available on Amazon & Etsy. Bonus Tip: If your pet food bowls are on the ground make sure to use a dog feeding mat underneath (I recommend using a mat with raised edges). 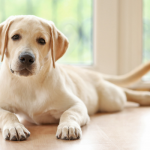 Dogs have a tendency to get water everywhere, and it doesn’t take very long for floors to get damaged. You can help minimize that damage by using a mat under your dogs bowls to help catch all that extra water. When it comes to keeping my dog toys organized my only priority was having a crate or box big enough to fit all of them in. I tried smaller containers to sort them by type, but that ended up being more trouble than it was worth since Laika enjoyed knocking all of them over with her daily “I need to knock all of the things over to find the perfect toy” game. So now I just use one big toy chest with 8 feet of cubic storage that she can’t knock over. 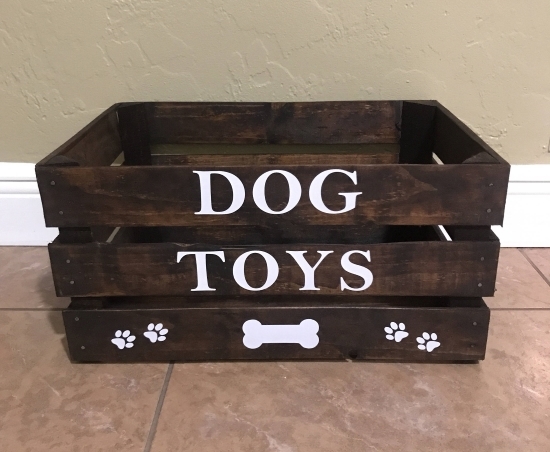 If you don’t want to use a traditional toy box you have some other options — my favorite is this DIY dog toy box made out of a wooden crate. You can also use wicker baskets, collapsible storage baskets or storage bins. There’s also plenty of cute dog toy boxes available from amazon and Etsy. When it comes to organizing my dog’s paperwork (vet bills, adoption records, vaccination records, microchip records) I like to keep everything organized in folders. I keep her folders in our mini filing cabinet that also holds all of my other financial and household records. That mini filing has saved me a lot of hassle over the years; turns out having a “I’ll just keep stacking all my papers in random spots throughout the house” makes it hard to find what you need when the time comes. 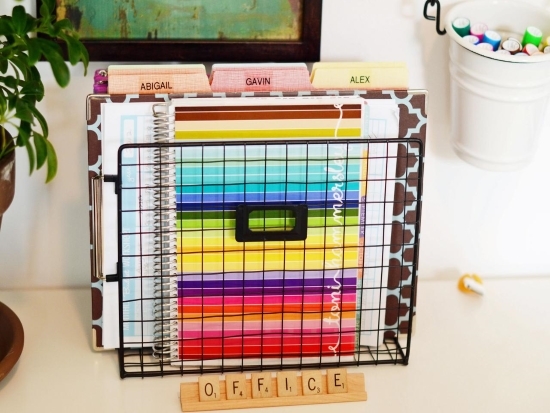 You can also use a binder, planner or basket for your pet records. The important thing is to keep them all in one central location (that you’ll remember) so they’ll be easy to get a hold of when needed. Don’t make my mistake and assume you’ll be able to magically find the right stack of papers later on. Make a habit out of organizing your paperwork once a week — it’ll save you a lot frustration in the long run. When it comes to organizing my dog’s grooming supplies (shampoo, brushes, doggie tooth paste & tooth brushes, nail dremel) I like to keep them all in a basket in the bathroom closet. I will admit I have it pretty easy with Laika since she only needs minimal grooming (regular baths and brushing), so her supplies don’t take up much space. If your dog has a lot of grooming supplies you might want to look into a hanging organizer with multiple pockets to keep them organized. 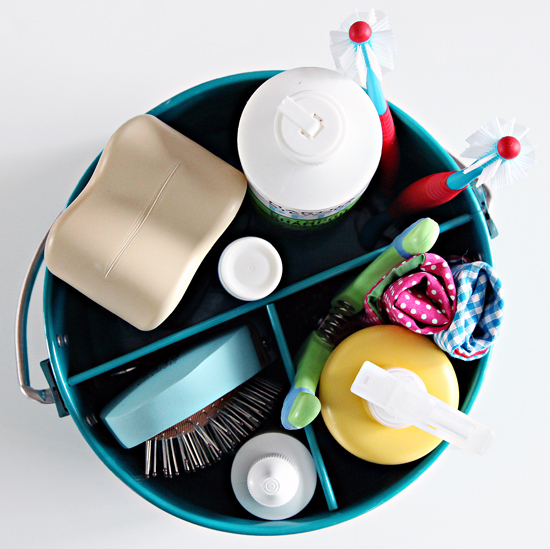 If you don’t have space to store your dog’s grooming supplies in a closet or drawer you can use a caddy or basket that matches your home decor. If you’re bad at decorating (like me) just keep reminding yourself to look for a container that’s both functional and decorative. When it comes to organizing my dog’s medications I keep them in a small plastic container next to our dog first aid kit in the kitchen. They’re right next to the human medications in a separate container. 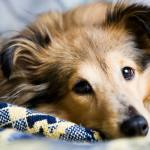 If your dog is on multiple medications I’d also recommend making a checklist so you can easily keep track of which medications they took and when. 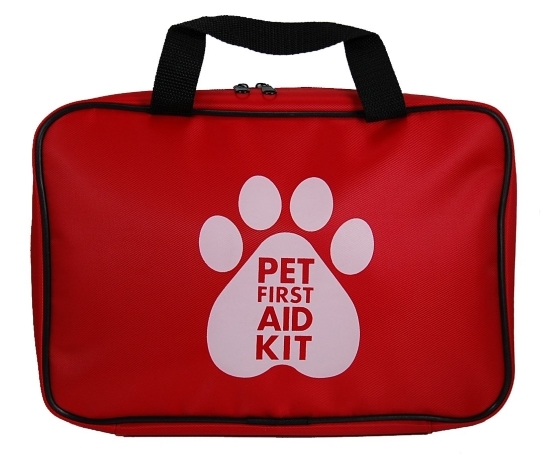 Bonus tip: It’s always a good idea to have a pet first aid kit on hand in case of an emergency. And if you travel with your pet I recommend keeping those first aid supplies in a container that’ll be easy to take along with you. If you don’t have a pet first aid kit and don’t know where to begin here’s a handy guide on putting together your own. How Do You Keep Your Dog Supplies Organized? How do you go about organizing your dog supplies? Do you have your own dog feeding station? How do you keep your dogs toys organized? Do you have a method for keeping your pet’s paperwork organized? Did I miss any of your favorite organization tips or hacks? Let me know in the comments below. This is a great way to organize dog supplies. I just need to find a couple of hooks and a basket to get started! Thank you for these tips. I have the dog toys organized in one area and store it in a big basket. And we usually hang the leashes. When it’s feeding time, we usually feed our dogs in a bowl and never thought of using a feeding mat, because you’re right waters get everywhere. Thanks for these tips. Guys you can also download Pawpular app & get best pet care services.